This entry was posted on Tuesday, December 11th, 2012 at 5:55 pm	and is filed under Dogs, Healthy Pets, Medical Issues, What's Poisonous for Your Pet. You can follow any responses to this entry through the RSS 2.0 feed. You can leave a response, or trackback from your own site. Contact the poison control center on our blog……or go to your emergency vet. I called this number and was presented with several sales pitches for various products. This stinks! I just want to find out how to help my dog! These sales pitches had NOTHING to do with dogs. You need to remove this number! Excuse me???? There’s NO number in the post & you don’t know what the person is referring to?? ?Did you bother reading the post right above that states it is from the Animal Health Foundation–it CLEARLY states “Contact the Pet Poison Helpline at 800.213.6688” I believe that is a number within the post. duh. Poison control will tell you in order to induce vomiting give Hydrogen Peroxide, I believe it is 1/2g/lb of body weight. Thus, a 100lb dog will need 100g or roughly 3oz. Double check with poison control. I did it for my dog and it worked! Again, double check the amounts! I sure would not temp fate. You were very lucky. I accidentally left out my sons chocolate birthday cake that was chocolate with chocolate filling and was wrapped in fondant out where our English Lab could reach it and he ate it while we were at work yesterday. The cake was probably about 4inches wide by 3 inches tall (the piece that was left really). He did go to the bathroom twice yesterday after we got home and it was not diarrhea it was normal. Should I still get him into the vet or just closely monitor him for a while? Call your vet immediately and see what they suggest. My kids left out their Valentine’s they were making which had Hershey’s kisses on them and German Shepherd got to them. She ate about 25 kisses. Thoughts? Hello! We have a 21 pound pug (2 years old) who got into a dark chocolate valentines heart. She ate about 1/4 of it. I called the vet who said to watch her but not sure if that’s all I should be doing. She has thrown up but nothing else (yet). Any suggestions. Thanks! Nothing other than your vet said. Check the poison control for animals online and see if they have another suggestion. if my dog only licked a tiny bit of chocolate, is it bad? We don’t think so, but it depends on how much and the size of the dog. If your dog likes chocolate, then get dog treats at the specialty stores with carob…. I have heard that white chocolate is not bad for dogs, can you tell me if this is true? my rat terrier loves the smell of it and always wants to lick it or eat it. thank you. No chocolate is OK for dogs. White or otherwise. Find treats in a pet store with carob that is especially made for pets. Since white chocolate contains no chocolate nor cocoa, and no theobromine, what, exactly, would be harmful to the dog in white chocolate? White chocolate isn’t actully chocolate.So I’d also like to know how it’s harmful too. Regardless of what the poster said, yes white chocolate is perfectly safe for dogs. Even a terrier would have to eat so many pounds of the stuff you’d be concerned about sugar long before toxins. Please don’t think that any chocolate is OK. My 9 year old golden retriever died two weeks ago from eating milk chocolate from Easter. My three teenage/young adult children found her. The doctor said that she probably had an underlying condition that we weren’t aware of. We miss her so much. Please don’t take the chance! We are so sorry to hear about your loss. How horrible for you and your family. I totally agree with you. Don’t take the chance. We have a 6lb chihuahua. I was in a rush the other day to take my daughter to her pre-k screening and had told her to throw the rest of her chocolate poptart in the trash, but she apparently didn’t listen to me. When we got home, I discovered our 6lb chihuahua had eaten about half of the poptart. this was about 4 days ago.I called the vet and they said to watch her for being jittery, diarrhea, and vomitting, but they didn’t tell me when she should be in the safe zone so I can stop worrying with every move she makes. I would definately call your veterinarian to see what their timeline would be. My 105 pound golden retriever/Pyrnees just ate about 7 chocolate brownies. Suggestions? Call your veterinarian or your emergency veterinarian. I can’t impress enough that time is critical when you are dealing with a dog ingesting something it shouldn’t. I have made cupcakes using 1/4 of a cup of cocoa powder. She ate four of the chocolate cupcakes. She ate them roughly twenty minutes ago. She isn’t throwing up and I have her eating food and water. She is a 50 pound pit bull puppy. What should I do? You should have called the vet or emergency vet immediately, not leave a blog post. My 3 pound Chihuahua just ate a little piece of candy covered in chocolate she seems fine right now but I’m still worried.? My 3 pound yorkie ate a tiny crumb of a brownie should I be worried? my dog licked a little bit of Hershey syrup on the floor (size of a quarter) will it hurt my dog? im worried if she will die. Always call your vet first for advice. We do not give veterinary advice on this blog. Our 5 lb Maltese (male, 15 Years old) ate a hand full of M&M’s at midnight and by noon he was dead. 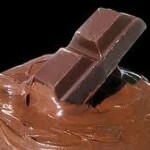 Is Chocolate harmful to ALL dogs? I have vanilla ice cream with chocolate sauce and cool whip for my treat …I let my 7 pound long hair chi chi lick the bowl after I have scraped most of the chocolate out.. she seems to lik it and there is no illness afterwards. I am nervous about even that tiny amount so I am going to stop now that I have read this site. Just gave my chiwawa two pieces of a donut is that bad? Thanks for sharing such great post about dogs. The social adaptations of pets and humans are similar enough that dogs can live perfectly happy lives surrounded by humans and vice versa. Cats are pampered with the best of food and medical care, frequently have a rest in their owners’ comfortable sofa. My rat terrier got into a chocolate protien bar(extra large) and ate the whole thing. What should I do? Always call your vet or your emergency vet. Never depend on leaving messages to find out what to do. Always consult your veterinarian about these things first. They will have the best recommendation based on their knowledge of your particular animal. Please people read the article before posting a question regarding your dogs health. 1. THEOBROMINE is the chemical in CHOCOLATE that IS POISONOUS to Dogs. 2. If your dog ate chocolate, call poison control and your Vet. Immediately. 3. Waiting for a reply ON a WebSite, to your question is wasting valuable time. 4. White Chocolate is not chocolate. 5. Milk chocolate has much less THEOBROMINE than say Bakers Chocolate, but still very poisonous to Dogs. 6. 1 table spoon per pound of your Dogs weight of HYDROGEN PEROXIDE, can be used to induce vomiting and help your dog after ingesting chocolate. But CALL POISON CONTROL and your VET, IMMEDIATELY after your Dog eats chocolate TO verify what is best. 7. Educate your friends, CHOCOLATE IS DEADLY FOR DOGS ! 10. You should have HYDROGEN PEROXIDE in your house for MANY reasons. If you do not, then goto the store immediately and buy At least a bottle or more especially if you have a large dog, and a table spoon. This is what I learned from the article.